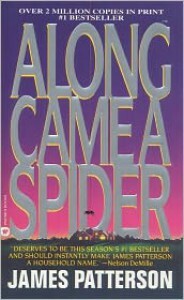 I have read 8 James Patterson books and many of them had the killers POV somewhere in the book which I am very fond of. This book did it the best thus far. I felt like I was two steps ahead of Alex Cross and I'm trying not to yell at the book "NO YOU'VE GOT IT ALL WRONG, THIS IS ACTUALLY WHAT HE IS DOING." I also liked that Patterson knew exactly where to cut off the killers POV so we could be in the dark and have to wait until the truth was revealed. The characters were well thought out and well written and I can't wait to read more from this series. The thing that I liked most about this book and that I will like about this series is that the main character is a POC.